Music by Black Composers / Updates / Exciting updates! There is a lot of news at MBC! Not only are we primed to have our Volume 1 for violin available by October of this year, we are also in the process of developing other educational and informational resources for students and performers. 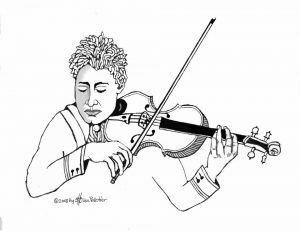 To begin with, we are creating a coloring book that will feature 40 of the most important Black composers from the 18th-21st centuries that will be available at the same time as Volume 1 for violin. Here are some of the composers that will be included for you to learn about and color! All of the images are designed by friend of MBC, violinist and artist Sho-mei Pelletier. We are also creating a timeline poster that will feature more than 250 Black composers from around the world coming soon. 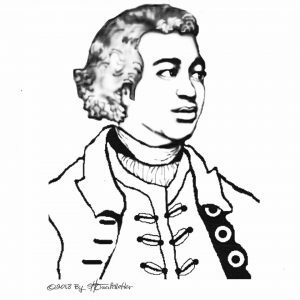 Finally, we’ll be producing an online database which will provide information about works written by Black composers. Designed for use by students, teachers, performers, administrators, researchers, and librarians, it will contain facts about each composer and about individual pieces, information about where to find the music, links to recordings, and more. Stay tuned for updates on these exciting projects!